21.09.2011 - Orthopaedic Innovation Limited have just launched their SmartGel™ Synthetic Osteoconductive Gel to add to their rapidly expanding biologics range of products. Click here for more details about this exciting new product. 25.08.2011 - Orthopaedic Innovation Limited are pleased to announce that they will be attending the Medica 2011 show between 16 and 19th November. If you wish to visit our stand we can be found in Hall 16, Stand No. 16G25-1. 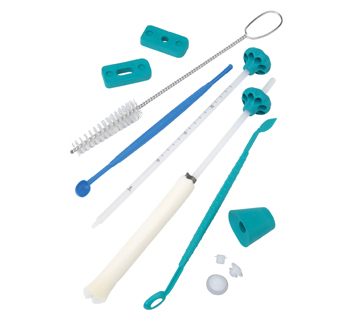 07.04.2011 - Orthopaedic Innovation Limited are pleased to announce the launch of their new Femoral Preparation Kit. Click here for more details. 04.03.2011 - Orthopaedic Innovation Limited are pleased to announce that from April 2011 we shall be adding a number of single use micro surgical power tools to the SmartPower™ range. Click here for more details about these exciting new additions to our range. 10.01.2011 - Orthopaedic Innovation Limited are pleased to announce the launch of their new range of single use surgical power tools. Click here for more details about these exciting new products. 08.12.2010 - Orthopaedic Innovation Limited are pleased to announce that they have recently been granted an ISO 13485 certificate. 24.05.2010 - New for 2010, our Knee Spacers are now available in both left and right versions that can be specified at the time of ordering. This allows for a better fit and better results. Click here for more details. 05.05.2010 - All our latest catalogues are now available to download on our 'Catalogues' page, these feature all our wide range of products across the various catalogues. 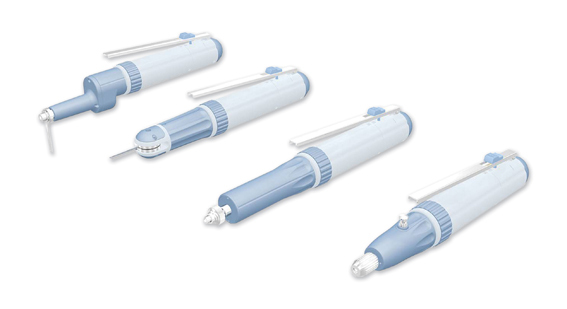 01.04.2010 - Our full range of Chucks and Adaptors for our SmartPower™ Disposable Drills and Reamers are now available to view on our website, together with our complete range of blades. Our chucks and adaptors provide complete flexibility for our power tools, allowing them to be used with AO and Plain Shank Drill Bits as well as the majority of all Reamers available on the market. Click here for more details. 12.01.2010 - We are pleased to announce our 2010 surgical blade, chuck and adaptor catalogue is now ready and available to download. Click here to view the brochure. 05.01.2010 - The full details of our SmartKnee Classic™ are now available on our the website. The SmartKnee Classic is one of our extensive range of knee implants and we are pleased to offer this knee system to our distributors worldwide. Click here for more details. Click here to visit our News Archive for older News stories.